Achieving a reduction in cycling accidents would seem to be a commendable aspiration. No-one can deny that it would be better for motorists, pedestrians, and of course cyclists. In many cases however, that is where the agreement stops – everyone has their own opinion about what needs to be done, and this is usually predicated upon their preferred mode of transport. So, the debate rumbles on, and as we see daily on social media, can get quite heated when opposing camps clash. Surely any solution needs to be dictated by the cause of these accidents. Having acted for hundreds of cyclists, and now having undertaken research into the chief causes of accidents, it seems that the answer could be a measured combination of education, investment and legislation. Our research provided valuable insight into cycling accidents, their cause and possible prevention. Following in-depth interviews with cycle retailers, who are in a great position to share the causes of their customer’s accidents, the chief culprit was identified as motorist error, followed by road condition and cyclist error. Of course, there were other causes, including weather conditions, but principally all of the culprits could be sorted into three broad categories. Motorist error, taxi driver error and bus driver error could be managed by legislation. Cyclists are of course, the most vulnerable road users, and if a system of strict liability – in other words, where the motorist is automatically to blame if a cyclist is injured in an accident, could be introduced, then that would be a huge step forward. In 2015, the charity Road Share pressed the Scottish Government to introduce “presumed liability” for motorists, claiming that it could save lives, encourage safer driving habits and persuade more people to take up walking or cycling as their primary means of transportation. Research conducted by the group, which echoes our own, found that Scottish cyclists were more likely to be killed on the road than their counterparts in countries including Denmark, Germany and the Netherlands - where drivers are already held liable for collisions, and where cycling is more popular than in the UK. Furthermore, a lack of cycle paths and road condition could be managed out of the equation by greater investment by local authorities in roads. 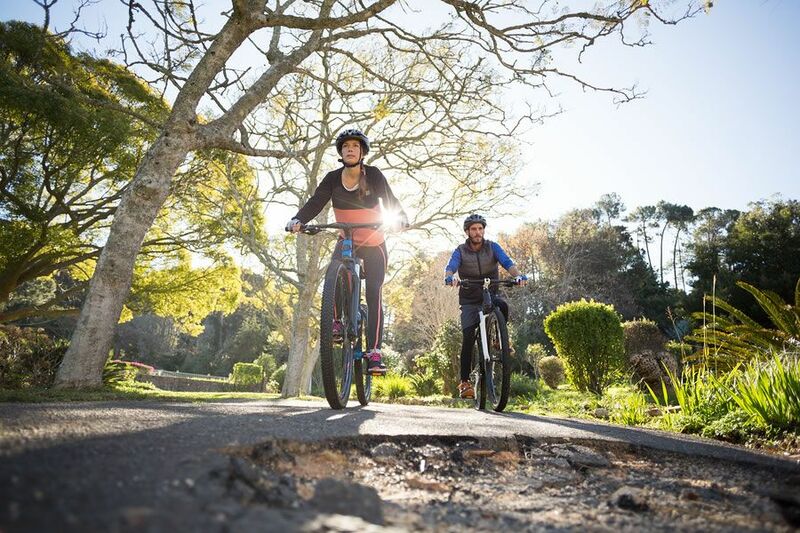 In the Capital in particular, with tramworks and other disruptive activities ongoing, the state of the roads are legendary, and cause endless despair, never mind injury, to cyclists and motorists alike. As well as educating to combat lack of knowledge of the highway code, another key accident trigger, motorists and cyclists could benefit from better education about the others’ position. This achieves results both on a practical level, but could also act to improve mutual respect on the roads which we all share. The one cause of accidents we can’t do much about – weather conditions – can also be managed, in part, by better education about how to adapt our road behaviour to deal with difficult situations. In further discussion, the retailers seemed to agree. A high proportion were in favour of an integrated safety awareness campaign to educate and train both cyclists and motorists in good safety practice, along with better city planning and infrastructure, improved road conditions and allocated cycle lanes. To some degree, there are legal resolutions available now, and an increasing number of cyclists make claims, but a significant proportion don’t bother because they think it will take up too much time and they think that they will be automatically blamed for the accident. By creating a new position in the law, fixing what’s broken and educating all road users how to share the space, perhaps we can have a meaningful impact on accident levels. There will undoubtedly be more debate on this issue. What is clear is that the solution to the problem involves both cyclists and motorist, and any activity that promotes mutual understanding and respect would make the roads safer for all.